Several outstanding female students will be honoured at a reception on Thursday, March 7, 2019. 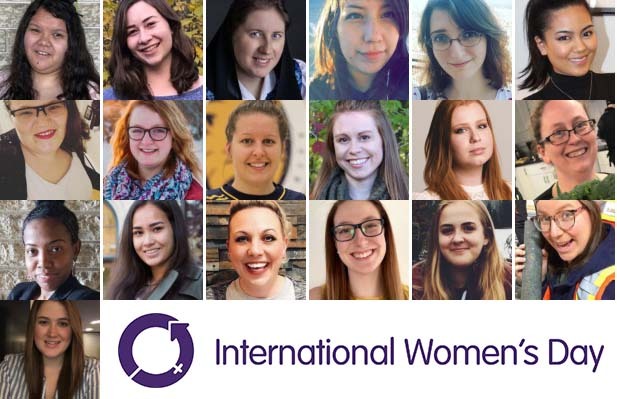 BRANDON – The community is invited to help Brandon University (BU) kick off International Women’s Day celebrations early by honouring 19 outstanding female students at a reception next week. The students will be presented with a certificate of commendation at a reception on Thursday, March 7. The reception will begin at 4:30 p.m., in the Gathering Space of the John E. Robbins Library. Nominated by their professors, the students represent all four of BU’s faculties (Arts, Education, Health Studies and Science) as well as the School of Music. They include women who came to Brandon University straight out of high school, and others who resumed their studies at BU after time off from education. Several of the honourees are lifelong Manitobans, while others have lived in places around the world. “Each one of these intelligent and talented women has their own story and their own unique journey that have brought them to BU. Their accomplishments here are equally diverse and impressive,” said Dr. Cathryn Smith, the Chair of BU’s Status of Women Review Committee and an Assistant Professor in the Faculty of Education. Profiles of the students can be found at BrandonU.ca/Womens-Week. International Women’s Day is recognized each year on March 8, with events planned around the world. The 2019 campaign theme is Balance for Better, issuing a call for more gender balance in the world. To ensure the reception can be enjoyed by all, please contact Lisa Park at 204-727-9785 or ParkL@BrandonU.ca with any accessibility considerations.